BULLHEAD CITY–The Experimental Aviation Association Young Eagles will take flight this weekend at the Laughlin/Bullhead International Airport. The program will be held Saturday, April 21 from 8:30 a.m. to 12:30 p.m. at the airport. Registration is scheduled to begin at 8:45 a.m. for ages 8 to 17. The EAA Young Eagles program offers these free flight events several times throughout the year in Mohave County. 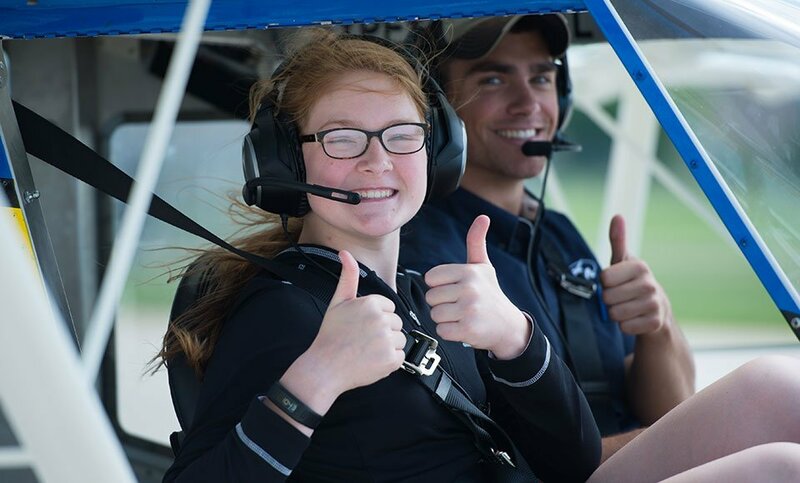 In 2017, the EAA Young Eagles program celebrated a milestone of 25 years. The program, which began in 1992, has provided an introduction into the world of personal aviation to more than 2 million young people. EAA is an aviation group of more than 200,000 members around the world who share their passion for all things aviation. To learn more about the EAA or the Young Eagles program, visit www.eaa.org. Photo contributed by EAA website.